8 ways that stress causes your brain to be sick. 1. Stress depletes you of precious brain chemicals like serotonin and dopamine, causing depression and anxiety. Serotonin is the happy brain chemical that also plays a role in mood, learning, appetite and sleep. Low serotonin is directly related to depression and anxiety and low dopamine causes a lack of zest, enthusiasm, and motivation for life and is the primary factor in addictions. 3. Chronic stress creates brain fog and emotional instability. 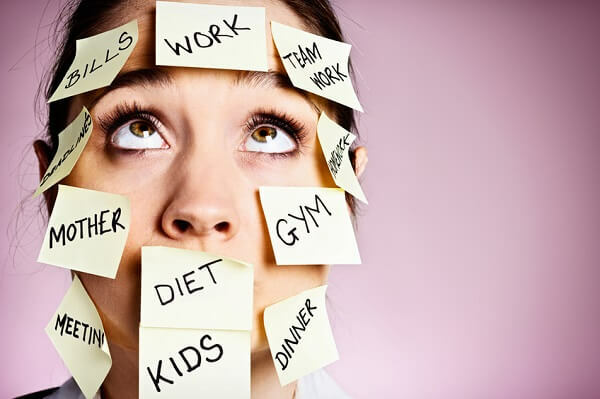 Memory problems and a lack of concentration and focus are the hallmarks of chronic stress. Research clearly shows that chronic high stress cause electrical signals in the brain to be delayed or compromised, leaving us wondering why we walked into the bathroom only seconds after we knew we had to go. 4. Stress increases the radical damage in our brain. With high stress, free radicals (killer molecules) are made in surplus, which can cause normal healthy brain cells to rupture and die. If this is coupled with lack of sleep, poor diet, and excessive nutrient deficiencies, the free radical formation increases even more. 6. Stress increases the chances you will have Alzheimer’s and dementia. 1 in 3 U.S. seniors will die with Alzheimer’s or some form of dementia. So we should be careful what we do to our brains to keep them protected. 7. Stress can lead to a toxic waste site in the brain. Every cell in our body is sensitive to toxins, but the brain is on the top of the list when it comes to sensitivity. We have a brain filter that normally keeps us safe, but when this barrier is compromised with stress causing it to be “leaky,” it lets in pathogens, poisons like heavy metals, chemicals, and other toxins we are exposed to. 8. Stress causes the brain to become inflamed. There are special cells in the brain called microglia that protect the brain from infection and toxins, essentially they are part of the brain’s immune system. Unfortunately, with high, relentless stress, the over- reacting of these microglia produces inflammation. This inflammation is part of the depression process as inflammation seems to have a role in all areas of disease in the body. While we are on the subject of preserving the brain, I must talk about the connection with stress and alcohol and the effect on the brain. With stress comes some level of anxiety, which, as many of us know all to well, alcohol easily manages. Alcohol increases the effects of GABA in the brain, creating a sense of calmness. What this means for you is that your thought, speech, and movements are slowed down, and the more you drink the more of these effects you’ll feel (hence the stumbling around, falling over chairs, and other clumsy things drunk people do). But here’s the twist: Alcohol also increases the release of dopamine in your brain’s “reward center.” The effect is that you keep drinking to get more dopamine release, but at the same time you’re altering other brain chemicals that are just enhancing your feelings of depression. The focus should be on protecting our brain, because without this precious, valuable, and irreplaceable organ we would be totally screwed. Keeping our brain chemicals in check and the neurotransmitters balanced is the goal for optimal concentration, memory, mood, and focus. Habituating on anything that alters the brain in a negative way is the fast pass to long-term problems that often are not reversible. According to Science, Your Stomach Ache Could Be Affecting Your Mental Health. Here's How.